“What is your game about”? The answer to this question is your pitch. I’ve talked about how to create a good one in more depth before. Just keep in mind that you have a limited amount of time (15-30 seconds or 5-7 sentences) to convince someone to play your game before they say “No”. So tell them everything, but be brief. Now let’s practice your pitch. I will create 3 example pitches for 2 of the games I have created (and had playtested). Read them and see what works and doesn’t. Sound simple? Let’s get started. I make no claims of being good at this. Which is possibly why I have not published my own game yet. (Related: See my interview for why I have not published). That said, I believe you can learn how to practice your pitch just as much from my bad examples than if I was great at this. As you read my pitches, focus on what YOU think works and what doesn’t. If something sounds good, then make a note of it. If something sounds bad, then try to figure out why so you don’t make the same mistake. This is a completely different game from what Memaws’ Monsters 1st edition was. I don’t want to explain what the 3rd edition is about right now because my pitch should do that for me. Notice which pitch(es) are successful at doing this. If you don’t know what my game is about after my short pitch, then my pitch needs to improve. Also, when you practice your pitch, keep in mind who your audience will be. Do you already know these potential playtesters or are they someone you will meet at a convention? “I was wondering who would be interested in playing a cooperative resource management card game that is based off of the stories that my grandma (Memaw) has told us as children? “Do you like resource managment games? How about cooperative games? If you said yes to both of these questions then I would like to introduce you to ‘Memaws’ Monsters’. A game I created based on the stories my grandmother would tell us as children. It takes about 30-45 minutes to play. “Have I ever told you about the stories Memaw told us as children? You can now experience those same stories in the form of a card game. I created this cooperative game to bring people together in a dream world in hopes to cure the Monster who is troubling your dreams. Which parts of these pitches did you like? Maybe you thought parts of all of the pitches sounded good. Or maybe only parts of 1 or 2 of the pitches. Whatever the case, recognize how your own mind reacted to each of the pitches. What intrigued YOU to want to play this game? When you practice your pitch, remember what you thought was compelling from these example pitches. *Did you notice – Pitch 3 was directed at my close friends and family. Always remember your audience when writing out your pitch. Since I typically enjoy playing my games with family and close friends, then they already know a lot about me. Such as who “Memaw” is. While you don’t have to have an amazing pitch for your family, it is good to practice when you can. Also as you read these example pitches, think about what emotions the pitches invoke. Does the pitch excite you? Make you remember a particular event from your own past? When your pitch builds up emotion in your potential playtesters, then you will have a higher chance of finding people wanting to play your game. “Remember that time when you went to your friend’s 5th grade birthday party at the arcade and you BROKE the ski-ball machine?! In this bluffing game you get to play as either the Parent or 1 of the many kids at the birthday party. And one of you made a mess. “Bring out your inner child in this crazy game of ‘Who Did It’. Everyone has arrived home from the awesome birthday party at the arcade when all of a sudden Mrs. Smith gets a phone call from the Manager. “Would any of you be interested in a bluffing game like Werewolf? Except in this game, one of the kids (villager) got into some trouble at a birthday party and the parent (werewolf) is trying to figure out ‘Who Did It’. The parent wins if they ground who ruined part of the arcade while the kids win if they confuse the parent into grounding the incorrect child. Again, what stood out to you in these pitches? What did you like? Didn’t like? What invoked positive emotions or memories for you? Take what these pitches do well and create your own pitches around them. And also learn from what didn’t work in the pitches above. Where can You Practice Your Pitch? 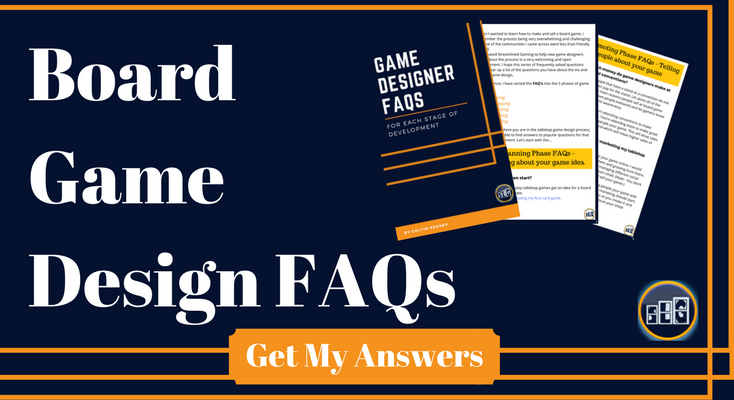 You can post basic pitches of your game to several forums. Keep something the same in your pitch (the constant) and change some elements (variables). Elements such as theme, game type, etc. Practice your pitch here by posting the pitch. And then ask them if the pitch is effective at making them want to play your game. Then you will know if you are on the right path to convince playtesters to try out your game. **Note – Prepare to receive unwanted and harsh feedback. Take feedback as constructively as possible and don’t let the internet trolls destroy your dreams 🙂 Afterall, making a game is intended to be fun and provide a creative outlet. Not everyone will like your game and that is ok.
What did you like/not like about the pitch examples above? Constructive criticism is welcome here and I look forward to hearing your feedback.